Richard Henrikson, PE, LEED AP, Henrikson Owen's Principal and President, serves as the Campus Mechanical Engineer at CSUF. 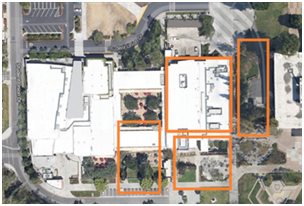 In this capacity, and on our many projects on campus, Henrikson Owen and its staff have been assisting CSUF to systematically implement improvements and commissioning to its physical plant and buildings for 20 years. Henrikson Owen's roles as Campus Mechanical Engineer at CSUF have been quite varied. In many cases, we work in the traditional mode of providing design services to develop a bid package for contractor construction, and then providing assistance during bidding and construction. We have also served as the Owner's Representative when a project proceeds on a design-build basis. Henrikson Owen was recently approved by CSUF to the serve as the Mechanical Engineer of Record and Owner's Representative during the schematic design phase for this design-build TSU expansion project, which involves providing full service mechanical, electrical, and plumbing (MEP) engineering and Quality Control to the recently selected Contractor. The TSU Expansion project will provide facility improvements to the existing 140,000 GSF building, originally built in 1976. A major capital expansion project was completed in 1992. The scope of work includes new construction, interior improvements and upgrades to the mechanical systems. The new construction will consist of an addition that is approximately 20,000 GSF. The addition is proposed for the south and/or east edges of the existing building. The new construction will address various programmatic shortcomings of the current facility and provide supplemental public use space that is needed following significant enrollment growth since the 1992 expansion project. The interior improvements include renovation of approximately 24,000 ASF of the existing 2nd floor plate. The renovation will address space and service needs associated with various uses, including student government offices, administrative offices, conference rooms, and other support areas. The scope of work also includes upgrading the existing mechanical and related systems throughout the entire facility.